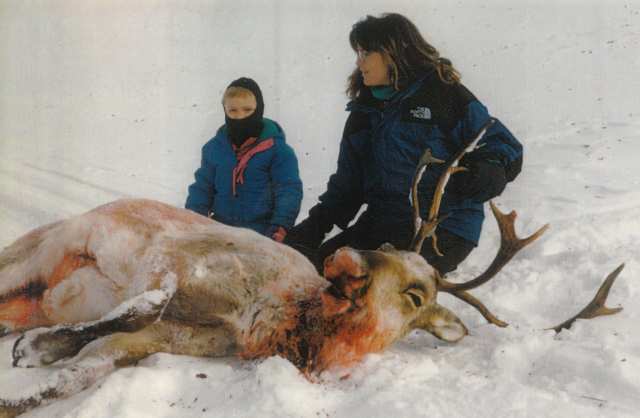 Republican vice presidential candidate Sarah Palin has never hidden the fact that she's a proud hunter from her home state of Alaska, first with a famous photo (below) through which many Americans initially came to know of her with a caribou she shot, to Wednesday's photo (above) of the governor carrying a tote bag with the slogan "Real Women Hunt Moose." But some animal rights advocates and activists have taken issue not only with her hunting practices, but more so her administration's stances on issues in Alaska regarding animal welfare. Michael Markarian, president of the Humane Society Legislative Fund, slammed the VP nominee in a blog post, saying Republican presidential candidate John McCain's choice "cemented" his organization's decision to endorse the Democratic ticket of Sens. Barack Obama and Joe Biden instead. Gov. Sarah Palin's (R-Alaska) retrograde policies on animal welfare and conservation have led to an all-out war on Alaska's wolves and other creatures. Her record is so extreme that she has perhaps done more harm to animals than any other current governor in the United States. Palin engineered a campaign of shooting predators from airplanes and helicopters, in order to artificially boost the populations of moose and caribou for trophy hunters. She offered a $150 bounty for the left foreleg of each dead wolf as an economic incentive for pilots and aerial gunners to kill more of the animals, even though Alaska voters had twice approved a ban on the practice. This year, the issue was up again for a vote of the people, and Palin led the fight against it - in fact, she helped to spend $400,000 of public funds to defeat the initiative. The choice for animals is especially clear now that Palin is in the mix. 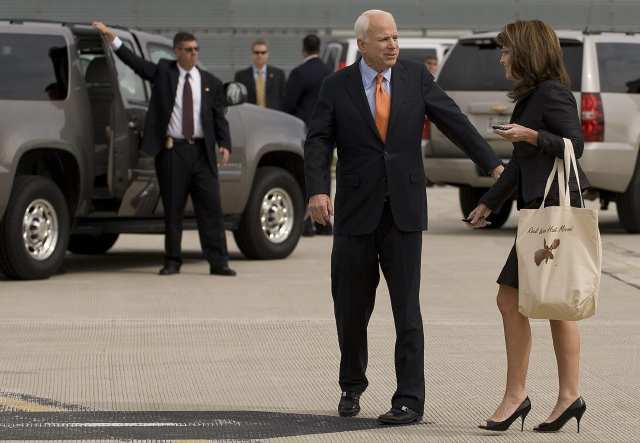 If Palin is put in a position to succeed McCain, it could mean rolling back decades of progress on animal issues. Referring to Palin's pitbull-with-lipstick crack, Bardot adds: "I know dogs well, and I can assure you that no pitbull, no dog, nor any other animal is as dangerous as you are. By denying the responsibility of man in global warming, by advocating gun rights and making statements that are disconcertingly stupid, you are a disgrace to women and you alone represent a terrible threat, a true environmental catastrophe." Bardot lashed out at Palin for supporting Arctic oil exploration that could threaten ecosystems and for dismissing measures to protect polar bears. "This shows your total lack of responsibility, your inability to protect or simply respect animal life," she wrote. The 74-year-old former film star is notorious in France for her outspoken views on immigration, the environment and animal rights. She has been convicted and fined four times in Paris for anti-gay and racist remarks. But all the criticism may have little to do with how pet owners view her ticket, as McCain had their votes over Obama earlier this summer. However, we must note, that survey was taken before Palin was unleashed into the political campaign.